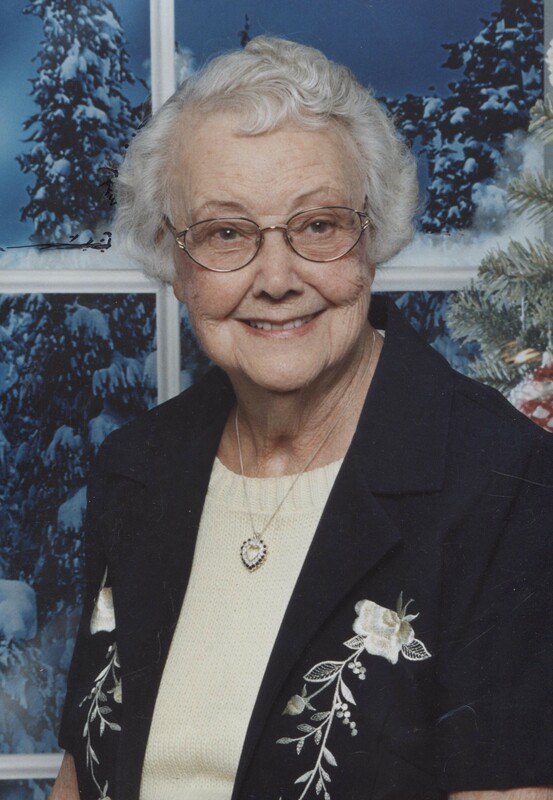 Audrey Armina Rawlins, 102, passed away January 10, 2017 in Gilbert, Arizona. She was born March 20, 1914 in Turner, Idaho to Brigham McCann and Susan Elnora Egbert. On February 21, 1931 she married Geraldus Rawlins. They farmed in Idaho until 1956, then moved to Arizona. They had 3 sons and 4 daughters. She was preceded in death by her 3 sons: Ronald Glen, Jerry Alden, and Leon. She is survived by her 4 daughters: Karen Ashbaker (Philip), Fae Flowers (Dwain), Rae Kimbrew (Robert), and Jan White (Richard). She also has 18 grandchildren and 62 great-grandchildren. Funeral services will be Saturday, January 14, 2017 at 12 PM, with a visitation at 11 AM, at The Church of Jesus Christ of Latter-day Saints, Higley Groves Ward, 234 N. Greenfield Rd, Gilbert, Arizona. Interment will be at the Turner Cemetery in Grace, Idaho. So sorry to hear about Audrey, I hope that the memories of her will warm your hearts and bring your family comfort. Another source of comfort is found at Acts 24:15 which tells us that Jehovah God and his son Jesus Christ will soon resurrect the ones we have lost in death. May this hope give you and your family comfort during this sad time. My sincere condolences to the family of Audrey Rawlins. May you find comfort in your loving memories and in God’s promise to see our love ones again through the resurrection. (Acts 24:15) With deepest sympathy.